As some of you may already know, today is Lauren and I’s SEVENTH anniversary since we were officially dating (I wish I could say Facebook official but it was mostly about MySpace back then)!! There have been so many amazing dates, trips, Rockies games and spur-of-the-moment-fun times that I’d be writing this post all year. Instead I’d like to write a little something about the love of my life! The first day I saw Lauren was when I was sitting on the couch playing Guitar Hero instead of being in class at CU. I immediately fell in love with her smile and her beautiful green eyes (with a small hint of orange 🙂 ), little did I know, was that her personality and passion is what ultimately made my heart beat faster every time I saw her and truly fall in love (I even slipped out an “I Love You” a couple weeks after we were dating!, oops). Even though she may deny it, Lauren didn’t feel the same way about me in the beginning. After a few get-togethers with our mutual friends and a few Rockies games/dates, she must have started seeing how great of a guy I actually was (JK!). Seriously though, I’m so happy that she eventually came around to feel the same about me and still like me after all these years! Fast-forward 7 years in our relationship and we’re engaged to be married in September!! 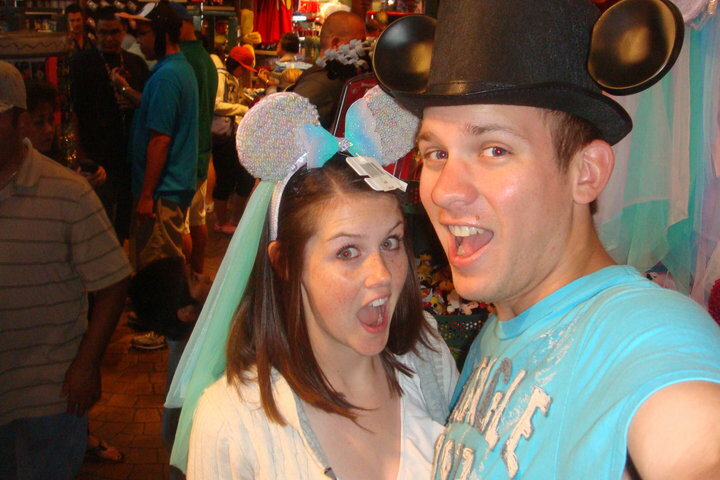 We OWN a house in DENVER (our dream), we have our honeymoon planned in Europe, and Lauren reminds me everytime we see or hear something Disney that we’re going to Disneyland for her birthday next year (we’ll see)! I could not imagine being more happy than I am right now and can’t wait to spend the rest of my life with the woman that inspires me to be a better person and shows me how to see life in a different way! I get goosebumps thinking about the day I get to say “I DO”!! We probably wont be wearing these at the altar but who knows! Such sweetness. So excited for both of you! Oh my gosh adorable! I feel like I know you guys even though we’ve never met! SO happy for the two of you and SO EXCITED for you and your upcoming nuptials!!! Happy anniversary!